Warner Home Video, UGO.com and The Paley Center for Media proudly present the bi-coastal World Premieres of Superman/Batman: Apocalypse, the highly anticipated next entry in the ongoing series of DC Universe Animated Original PG-13 Movies, in Los Angeles on September 21 and New York on September 23. Filmmakers and members of the voice cast will attend both events for red carpet media interviews and post-screening panel discussions. On Tuesday, September 21, Superman/Batman: Apocalypse will screen at the Paley Center in Los Angeles (465 North Beverly Drive in Beverly Hills) with media interviews starting at 5:30 p.m. and screening commencing at 7:00 p.m. A panel discussion moderated by UGO movie editors will follow the screening featuring executive producer Bruce Timm, director Lauren Montgomery, writer Tab Murphy and dialogue/casting director Andrea Romano. Additional participants, including voice cast members, will be announced as confirmed. On Thursday, September 23, Superman/Batman: Apocalypse will screen at the Paley Center in New York City (25 West 52nd Street) with media interviews starting at 5:00 p.m. and screening commencing at 6:30 p.m. Following the screening, Kevin Conroy, the fan-favorite voice of Batman, and casting/dialogue director Andrea Romano will lead a panel discussion moderated by UGO movie editors. Additional participants, including voice cast members, will be announced as confirmed. Tickets to both events will be distributed on a “first come, first served” basis. 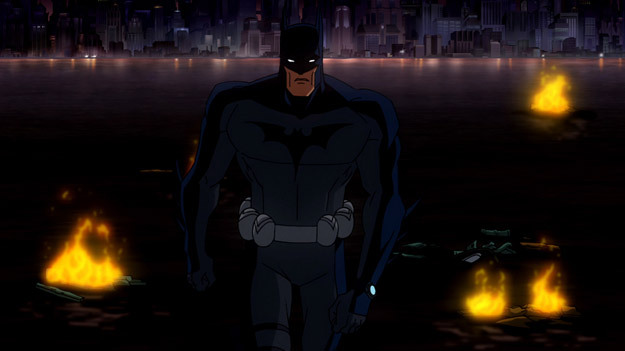 Based on the DC Comics series/graphic novel “Superman/Batman: Supergirl” by Jeph Loeb, Michael Turner & Peter Steigerwald, Superman/Batman: Apocalypse is produced by animation legend Bruce Timm and directed by Lauren Montgomery (Justice League: Crisis on Two Earths) from a script by Academy Award-nominated screenwriter Tab Murphy (Gorillas in the Mist). 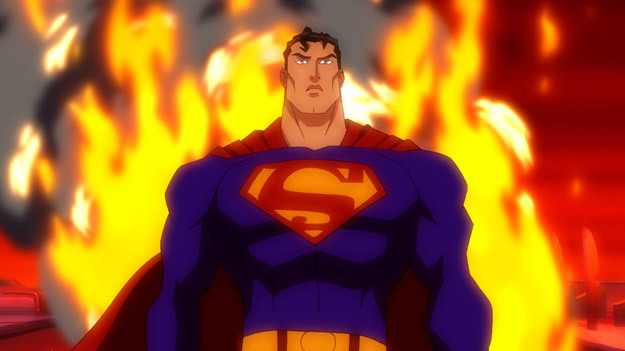 In Superman/Batman: Apocalypse, a spaceship splashes down in Gotham City Harbor — leading Batman and Superman to encounter a mysterious Kryptonian with powers as great as those of the Man of Steel. The Kryptonian is soon revealed to be Kara, cousin of Superman, who takes her under his wing to educate her about the ways of Earth. 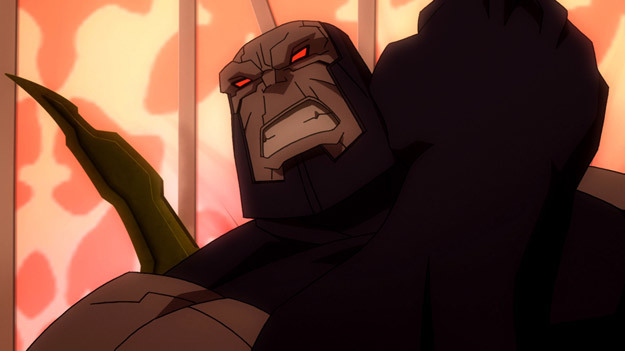 However, the villainous Darkseid has other plans. Seeing an opportunity to finally defeat Superman, Darkseid abducts and gains control of Kara, utilizing the powerful Kryptonian to do his bidding. It’s up to Batman and Superman to save Kara, but they’ll have to take the fight to Darkseid within his hostile world – where unknown, deadly threats lurk around every corner, including a brainwashed Kryptonian able to match Superman blow-for-blow. Fan favorites Tim Daly (Private Practice) and Kevin Conroy (China Beach) return to their seminal roles as Superman and Batman, respectively. The celebrity-laden guest cast is headed by Andre Braugher (Men of a Certain Age) as the daunting Darkseid. Sci-Fi heroine Summer Glau (Serenity/Firefly, Terminator: The Sarah Connor Chronicles) provides the voice of Supergirl, and seven-time Emmy Award winner Ed Asner (Up) reprises his Superman: The Animated Series/Justice League role as Granny Goodness. Produced by Warner Premiere, DC Entertainment and Warner Bros. Animation, Superman/Batman: Apocalypse will be distributed by Warner Home Video on September 28, 2010.